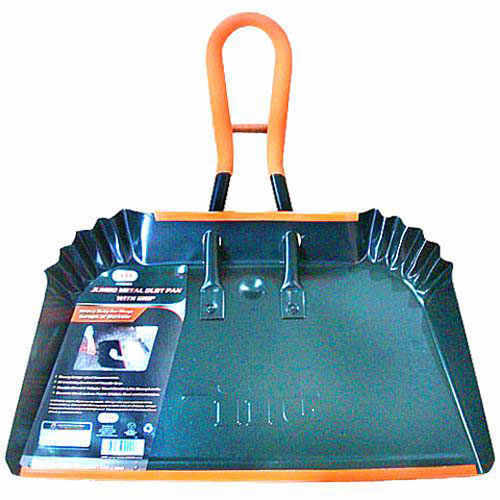 This dustpan will sweep you off your feet. Forget those wimpy plastic jobs - if this had a longer handle, it would qualify as a shovel. It is enameled steel, 17" wide x 10" deep, with a slight retaining lip 3/4" in from the front edge. The handle is an 8" tubular loop, shaped to let you get a good grip on it with it's bright orange no-slip grip coating. It's industrial equipment, but perfect for your basement or garage, or for cleaning up after your St. Bernard. 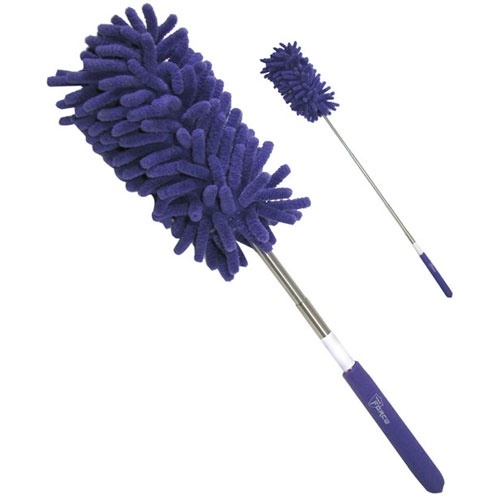 This microfiber duster starts out 11” long and the telescoping 4-draw handle extends to over 2 feet, if you count the headful of 1” long wiggly dust-busting fingers on top. Can you say recessed lighting? Ceiling fan? We’ll select one for you in a flattering purple, lime green, pink or light blue. Would also make a can’t-miss baton for a high-school band director. 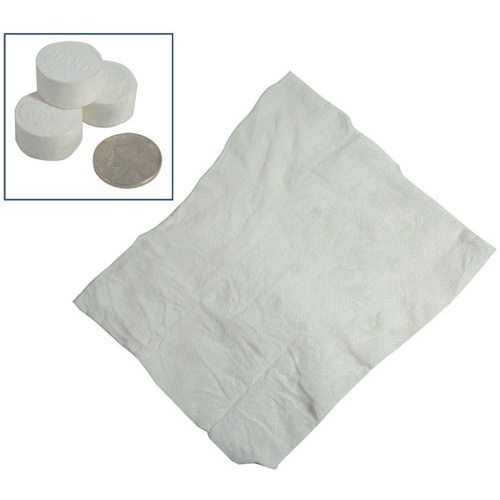 Looks like an antacid tablet, a white disc 13/16" dia x 3/8" thick, but drop it in water and the rayon instantly expands into a 9" x 13" reusable wipe. Can you say handy? No mother should ever leave the house without a few in her purse and no glove compartment is complete without a handful. Click here and watch the magic! The mother’s pal. 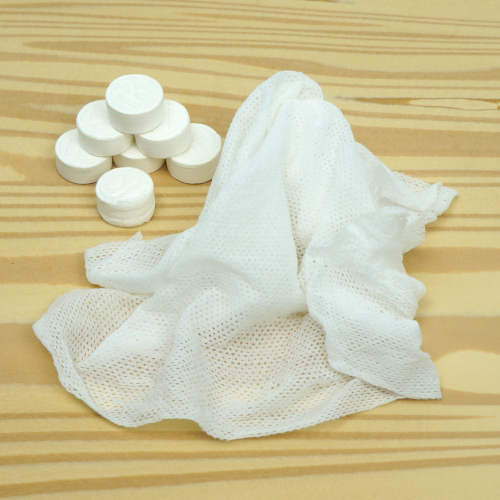 Pop-up Wipes are cute little tablets, like approx 2” dia antacids except when you pop these in water, you get reusable cotton towels. You pick the 3/8” thick tablet that turns into a 12” x 18” towel, or the 1/2” thick ones that become approx 12” x 27” towels. 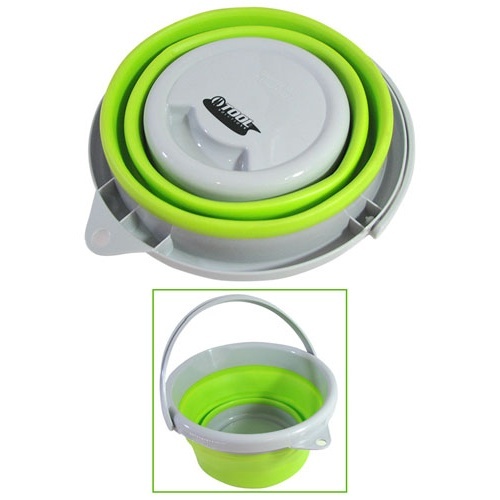 Not to be confused with the bucket accordion, the least popular instrument of all time, this is a collapsible bucket, made of silicone with a hard plastic rim. Holds 1-1/3 gallons and stands 7-3/4" tall x 8-3/4" ID at the top, but collapses (accordions) down to less than 2" tall, including the folding handle. Has a little hanging tab at on the lip. Handy anywhere space is an issue, and dandy for boats. BPA-free, heat-resistant and slick as a wet otter, so stuff just slides out. Nothing screams HANDY! 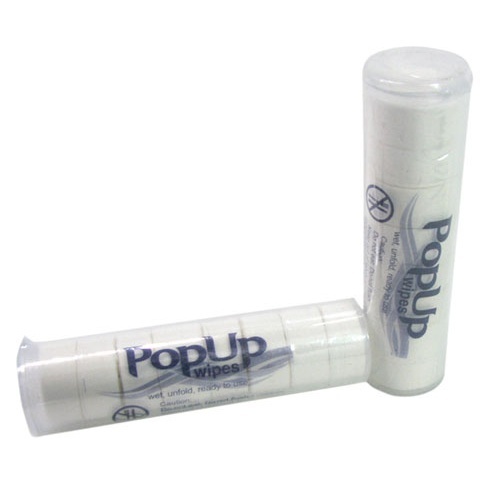 like PopUp wipes, little 3/4" diameter tablets that turn into 9" x 10" towelettes when submersed in water. Equally handy for campers, Navy Seals, toddler parents or anybody who slobbers a lot. They come in easy to take and store tubes, so go out there and get dirty. 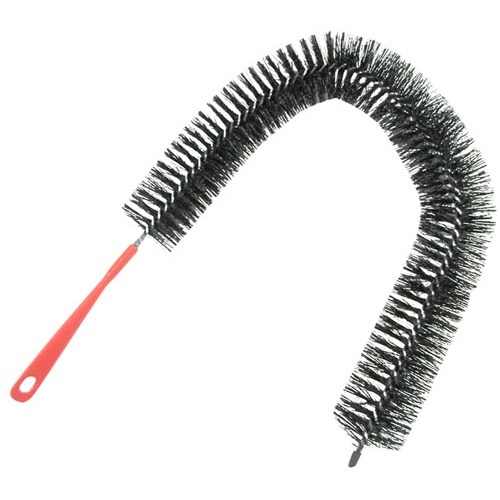 Don't go looking for the biggest bottle in the world, this is an appliance brush, for cleaning the coils in the back of the fridge or lint from the dryer. 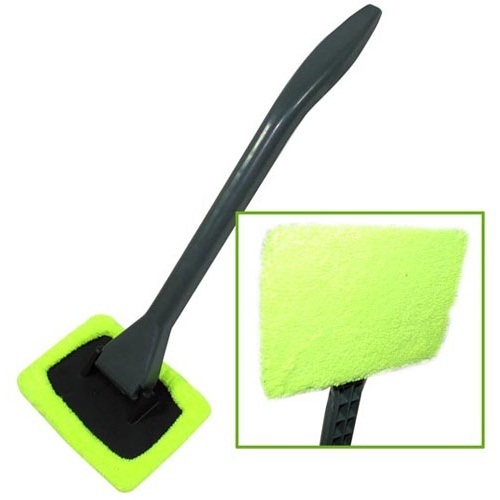 Plastic handle is 9" long and brush is an additional 23" x 2-1/4" dia. Could also be used to clean your 50mm cannon. It's flexible, and we'll fold it before we ship, so as not to alarm the mail carrier. Unfold it and let the brushing begin. Thinner than a human hair! Smoother than a baby's bottom! More absorbent than an enthralled groupie! Its a microfiber miracle cloth. It really is amazing folks. 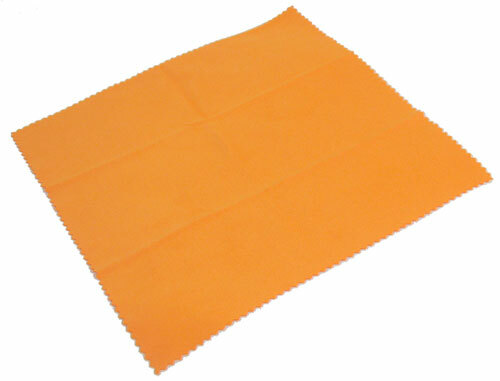 A 6" square cleaning cloth woven of 90,000 microfibers per sq. inch, each 0.5 mm dia. Super absorbent, it can be used wet or dry to clean the most delicate lens, CD, or for that matter, your car or kitchen counter. "As seen on the TeleVision" except this one really lives up to the hype. You need several to clean super clean where it really counts. Like your specs and other coated optics. As seen it on TV! Called THEEASYWIPE, this window cleaner has a 14" long pivoting handle ending in a 5" x 3-1/2" pad with a removable and machine-washable microfiber cover. It's designed to clean glass with just water and to fit easily into that tricky space where the inside of your windshield meets the dashboard. Works for back windows, too. Even works in trucks. And houses. These mighty handy wipes start at 3/4" dia x 1/2" thick and come alive (in a manner of speaking) when you drop them into a glass of water. 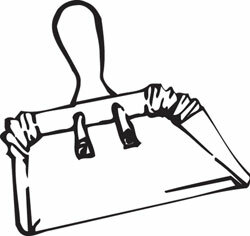 Unfold one to 9" x 10" and use it to clean up the kids--or yourself--and you'll never leave home without them. 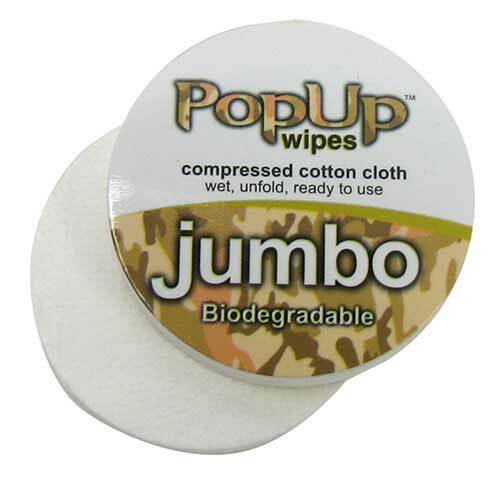 Each pack is a plastic tube of (8) wipes, which makes them great for purses, glove compartments and campsites.